a self-contained, integrated security system for all sites. 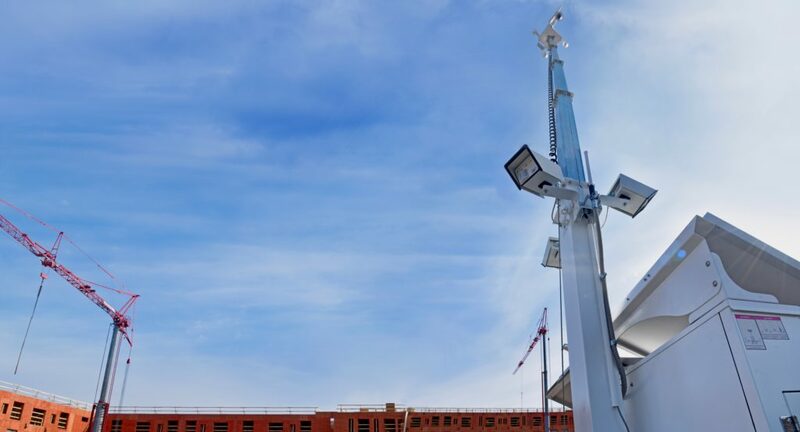 The Site Defender offers round-the-clock video surveillance combined with electronic perimeter intrusion protection that takes traditional site security to the next level. Onboard video recording captures 30 days of video activity. Live video streams, video playback, and camera controls can be accessed via PC or Smartphone. 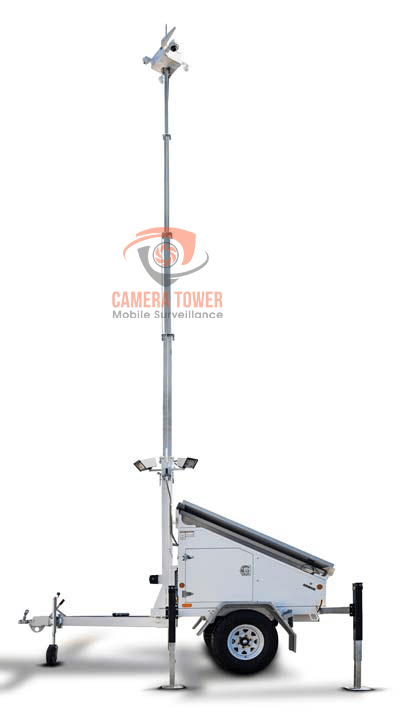 The Site Defender video surveillance capabilities feature high resolution digital cameras mounted on a variable-height mast that extends to 30 feet for a pentameric view of the site. Each camera offers pan/tilt/zoom capabilities, programmable “patrolling” and night vision to 500 feet to capture a clear view of intruders and criminals during vulnerable hours.